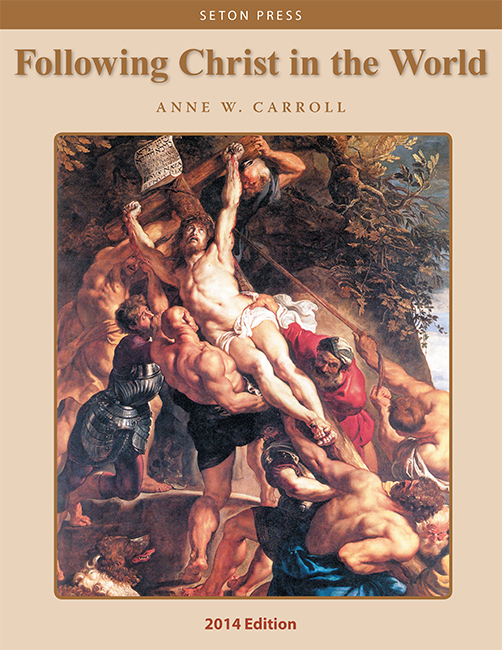 Written by Dr. Anne Carroll, an excellent senior high school apologetics text covering traditional topics, as well as issues pertinent to the modern world. Grade 12. Now with full color images. Copyright 2014. 8.5 x 11 inches. Soft cover. 141 pp. DID CHRIST FOUND A CHURCH? This is an excellent high school Religion text. Much more than an apologetics book, it covers morality, citizenship, economics, government, and even philosophy. It makes a perfect senior year course, preparing students for the adult responsibilities they will face as they leave their homeschool or high school and begin college or career. The chapters that explain what the church teaches regarding such things as communism, socialism, and fair labor should be added to whatever economics and government courses the student is studying. I highly recommend this book and give it 5 stars!